Another thing I take joy in is watching the butterflies that come to my butterfly bush. Unfortunately I lost two butterfly bushes over the winter, but I still have this one. And there haven't been nearly as many butterflies this summer as we normally have. So I was quite happy the other day to see this one out there. The next day there were four of them out there at the same time. And today I saw my first Monarch butterfly of the summer. I think over the winter I'll do some research on host plants the butterflies like, and maybe plant some new things in the yard to encourage them to visit. 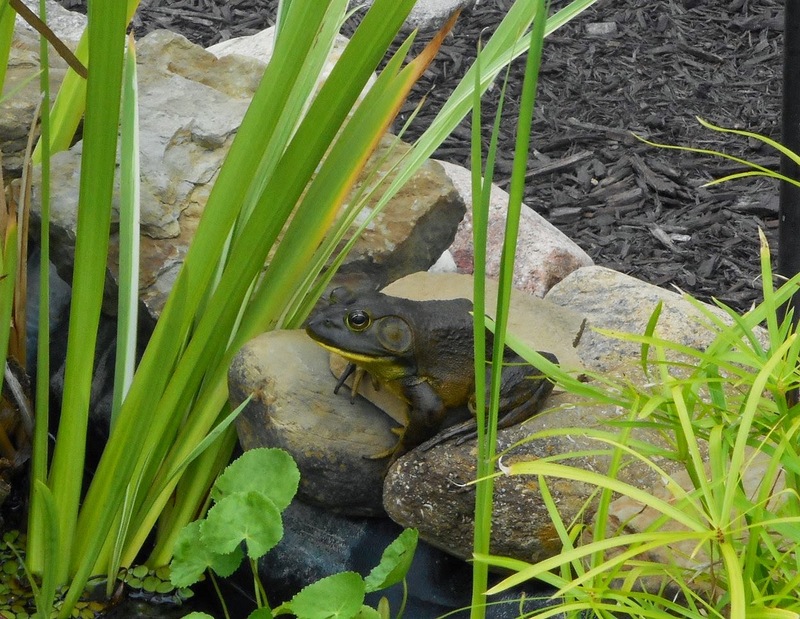 I love to see Mr. frog in your pond and you do have beautiful butterflies at your house. I have only had one of the yellow ones here so far. I love your new background. Your new background is very pretty! A butterfly garden sounds wonderful. I'll be interested to know what you learn. I too love the simple things in life. Flowers, butterflies and birds make me happy. Wish I had some frogs in my yard, but we live in the city. Last night, my son and I sat outside, talking, when a large object came lumbering down the street. It was a huge raccoon. Yes! Even that made me happy. The simple things are always the best. 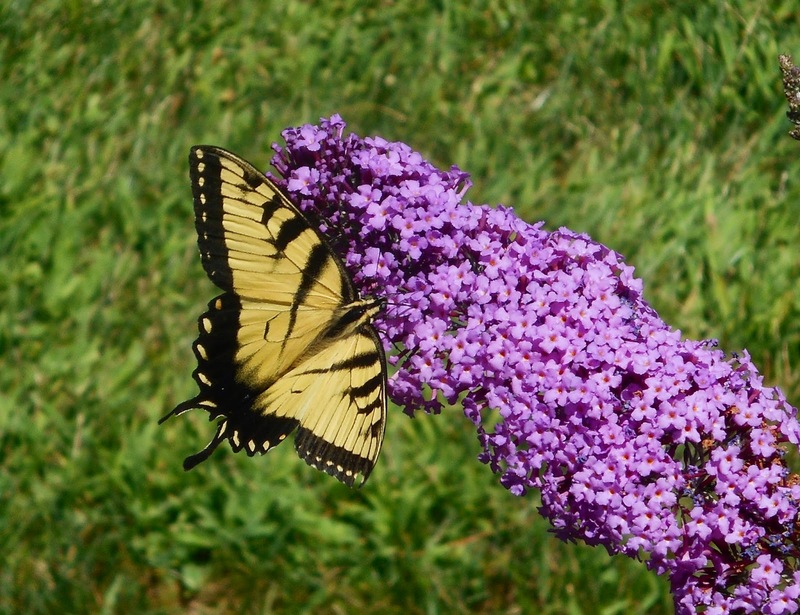 I love butterfly bushes. I have two but the extreme heat is taking its toll on them. I haven't seen one butterfly all summer. I'm glad you are seeing more in your yard and I love the pictures you took. Great job on capturing it. Beautiful photos. I love nature too! 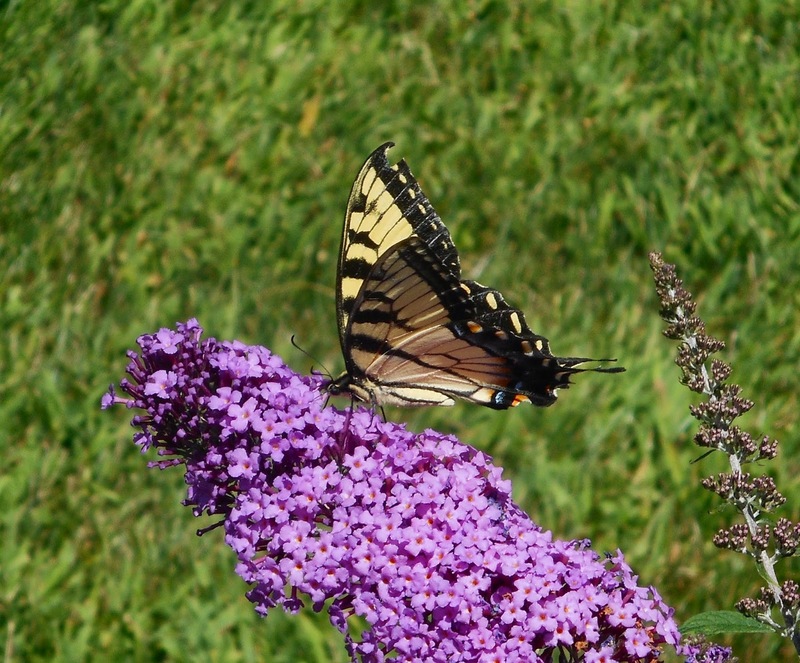 I have been wanting to ask you all summer if your butterfly bushes were okay. I lost my beauty that you had given me from several years ago. It was a privacy bush by our deck and I really miss it this year and watching the butterflies and hummers.